Cherry Carpets supplies commercial and domestic carpets across London, Kent and Surrey. 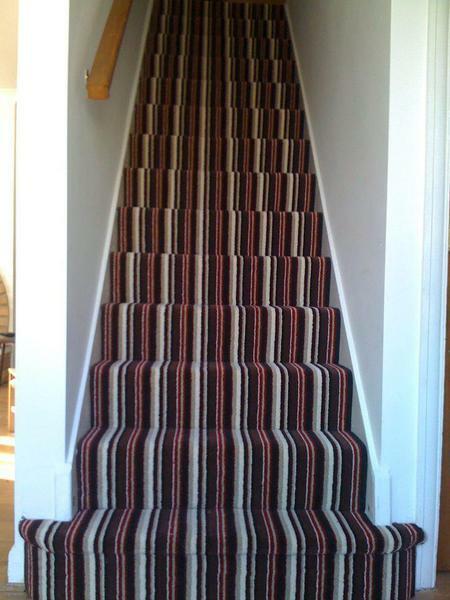 Cherry Carpets has no shop that can be visited – just on call carpet experts. Without the overheads of big flashy showrooms, we can afford to offer the most competitive quotes on the market. I would highly recommend Cherry Carpets to fit carpets for you. I had my hall and stairs carpeted and Lino fitted on the bathroom and they did a great job of it and left everything spotlessly clean after. Great work! Excellent service from Cherry carpets.. Dan was very helpful with carpet advice, providing samples, processing order and fitting.. Brian arrived promptly to fit the carpet and was very efficient and tidy Thoroughly recommend this company. From start to finish I received a very high standard of service. Because there were other issues that needed to be considered before the work was done, I was very grateful for the input from Cherry Carpets. Great coffee and biscuits too at the shop! The fitter arrived promptly, which was great as we had an appointment we needed to attend. We left the fitter to his job and upon return a couple of hours later, it was all complete. He then hoovered and cleared all mess. Quick, efficient and very tidy. Brilliant service from all staff from the minute I first walked into the shop to having the carpet fitted and very competitively priced too. Will be using Cherry Carpets again. Absolutely brilliant job from start to finish. Quote was provided swiftly and the fitters arrived on time. I was at the property during the fitting and the workmen were polite, courteous and professional. They ensured high safety standards and the work was completed to an excellent standard. Professional fitting service. Offered a range of different carpets at decent prices. From measuring to fitting before Xmas the service was at a high standard. The fitters went above and beyond to accommodate additional requirements, such as clearing a previously installed engineered wood floor or repairing a sub floor hole. Staff were approachable. Respected my property and cleared up any mess. I would definitely recommend Cherry carpets just for their customer service alone, much less all their efforts. Excellent service from start to finish. The quote was competitive and they were able to provide samples ahead of the work. The fitters did a great job despite none of our walls being straight and were very tidy. We would highly recommend Cherry Carpets and will be using them again in the future. Fitted Karndean kitchen flooring - were able to accommodate our revised schedule and did a good job. Would recommend as being very professional and reasonable. Also have a small room carpeted which took no time at all, very pleased with quality of carpet (Wembley range) for the price.